*1 N1 race can't use pillow ball upper mount by the competition regulation. -Spring rate can be changed at the time of order (A price is the same). 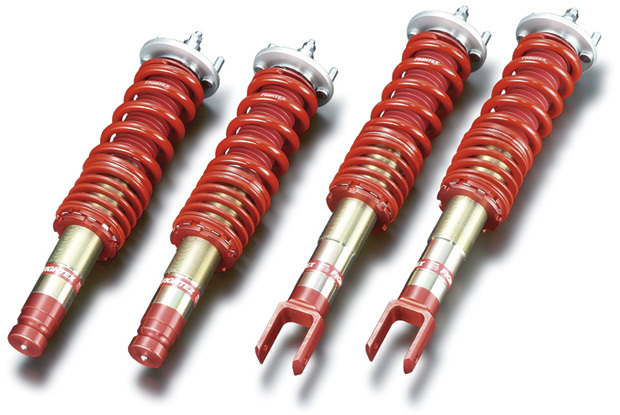 Damper KIT contents: Damper, main spring, helper spring (on certain types only), pillow-ball upper mount, spring upper seat, spring lower seat, lock seat, dust boot, car height adjustment wrench, damping force adjustment wrench, instruction manual.